The nitrogen-rich, black-muck soil of Belle Glade, Florida turns into fields of tall, feathery, sugar cane stalks, stretching beyond the horizon every winter. 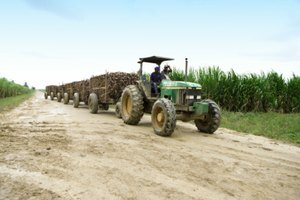 The air is sweet from the burning of the sugar cane as it's harvested and then trucked to sugar houses, where processing turns these gangly stalks into everything from granulated sugar to paper plates. While healthy-diet recipes do not include paper plates in their list of ingredients, cane sugar in its various forms is an essential addition when creating everything from spaghetti sauce to soda bread. Grown in tropical and subtropical climes, the grassy cane stalks contain a treasure trove of sucrose which is extracted to form a multitude of different sugars. Brazil and India lead the world in sugar cane production. Curiously, quality sugar cane doesn't travel well, resulting in raw sugar being processed where the cane is harvested. 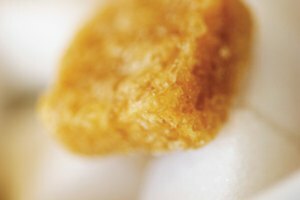 White sugar is refined from the raw sugar after it's been shipped to the location of use. This gives another dimension to the term "food miles" when considering the purchase of processed sugar. That dark brown, gooey, sticky stuff that breathes life into holiday gingerbread men is molasses, the base of all cane sugar. The darker the sugar, the more molasses it contains, with blackstrap molasses being the most intense in flavor and bitterness. For typical baked products, sugars that have the molasses processed out are preferred as they don't interfere with flavor. Sugar that is processed to remove all the molasses results in granulated, fine (caster) and powdered sugar. All are variations on the same theme. Reach out for a paper-wrapped bag of sugar at the grocery store and most likely it's granulated sugar. The small white crystals are ideal for baking as they don't adhere to one another. Processed more than granulated sugar is fine, or caster sugar. Bakers prefer this fine grind as it dissolves quickly when mixed with other ingredients. Meringues, custards and minimally mixed batters benefit from fine-ground sugar as the crystals are more easily absorbed. Crystals ground to a powdery consistency is powdered, or icing sugar. A bit of cornstarch is added to the powder making it ideal for icings, as an additional sweetener when flavoring pastry and when used to dust the tops of fruit tarts. The nutritional value of white sugar is negligible. Proteins and fats are noticeably absent from white sugar while one teaspoon of the granules counts for approximately four grams of carbohydrates. 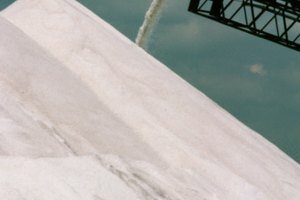 Adjacent to the bags of white sugars on the supermarket shelves are the brown sugars. 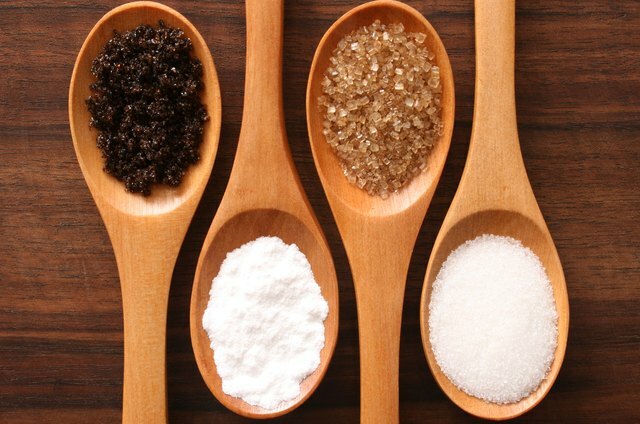 Light and dark brown sugar were the only choices until recently, when muscovado, demerara, and turbinado sugars started appearing in the sugar aisle. When the sugar cane is processed, crystals form and are separated from the remaining liquid. Light and dark brown sugars are really white sugar with molasses added back during processing. The lighter the sugar, the less molasses it contains. Demerara sugar, tinged with molasses that is blown onto the crystals during the processing, adds an extra sweet crunch to bakery products. Actually a lightly processed brown sugar, demerara's auburn crystals remain intact during baking. Sprinkle demerara sugar onto the top of a cake batter or cookies before putting them into the oven. Turbinado's golden color is the result of the surface molasses being removed during the processing. Also in crystal form, the brown packets of "raw" sugar found on restaurant tables more than likely contain turbinado sugar. Unrefined muscovado sugar contains the heaviest amount of molasses, resulting in a strong, somewhat bitter flavor. Less crystalline than demerara or turbinado sugars, muscovado is similar in consistency to dark brown sugar but without the inherent sweetness. A whiskey sour without a dash of simple syrup is just that: sour. Made from granulated sugar boiled with an equal portion of water, simple syrup is a staple behind the bar. 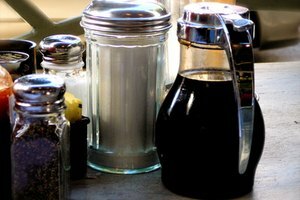 Barristas also depend on simple syrup to flavor coffees and iced teas, and a glaze made with simple syrup enhances fruit tarts and pastries. James Bond must have inspired golden syrup, as the process of making it involves swirling, not stirring. Sugar, water and lemon are gently heated, then swirled to create the buttery tasting golden liquid. Often called for when making tarts and pastries, golden syrup adds a rounded richness and depth to bakery creations or toppings on warm cereals. A bitter cousin of golden syrup is the darker treacle. Pure molasses, this liquid sugar is used in puddings, tarts and candies. Also known as blackstrap molasses, a bit of bourbon added to the treacle changes its personality from bitter to better. While white sugar has no nutritional value, molasses screams with a multitude of vitamins and minerals including manganese, magnesium, potassium and vitamin B6. Just be aware that whatever nutritional value molasses has, it also has a high sugar content. 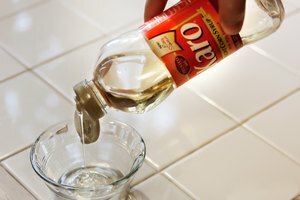 What Are the Differences in Ribbon Cane & Sugar Cane Syrup?